Oooooh! 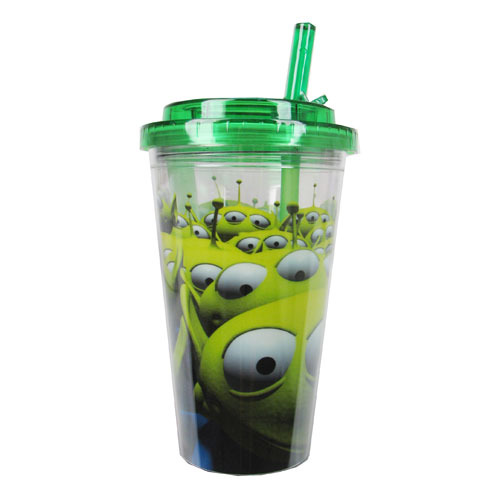 It's the little green men from Toy Story on a travel cup! This Toy Story Aliens Green 16 oz. Flip-Straw Plastic Travel Cup features a crowd of the extraterrestrials from Pizza Planet's claw machine. This cup also includes a convenient flip-straw and can hold up to 16 ounces of liquid. Hand wash only. Not dishwasher safe. Do not microwave. Ages 14 and older.